Mariner’s Quarter London is the triumphant finale to the 40-acre Royal Wharf development and comprises four iconic new buildings, overlooking a stretch of the Thames reaching almost a mile across. The very name of Mariner’s Quarter sums up what this exclusive section of the neighbourhood is all about. Embracing the energy of the Thames and the spirit of adventure, mere seconds from the social hub of the sports and leisure centre, to own a property in Mariner’s Quarter is to own a slice of the best that London has to offer. Get all the Free Copy of the Beautiful E-Brochure and Floor Plan Now !! Simply SMS or Whatsapp “MarinersQuarter” to +65-91259978 or simply click the button on the right and submit to get all the Instant Free copy of the E-Brochure and Floorplan. The crowning glory of the Mariner’s Quarter, riverfront Marco Polo boasts a bold design, consisting of three vertically stacked building boxes, made striking by a subtle twist of each box. Inspired by the unpredictable London weather, the building’s façade and character was designed to modify with each season, with the louvered balcony screens adjustable to provide shade from the sun or wind while enjoying outside space. Part of the same design as the Marco Polo building, the James Cook features a similar design without the quirky twists. Adjustable balcony screens lend the building a living, breathing feel, creating a sense of changing with the seasons. The colour palette of this building is the reverse of the neighbouring Marco Polo, to create a subtle differentiation between the plots. So where is Mariner’s Quarter Royal Wharf ? Mariner’s Quarter London Royal Wharf Location is one of the best in London. Royal Wharf London has excellent transport links into the heart of London via the Docklands Light Railway (DLR), a new Cross rail Station (Custom House) which will be completed by 2018, the Jubilee Line (Canning Town) plus international connections from London City Airport and boat links from a brand new Thames Clipper Pier. Oxley is a lifestyle property developer specializing in the development of quality residential, commercial and industrial projects at competitive prices. Headquartered in Singapore, Oxley’s developments cater to the growing needs of discerning home buyers who value quality living and a finer lifestyle, as well as small and medium enterprise owners looking to purchase their own premises. As a strong and dynamic company, Oxley has made its mark as a developer with a strong value proposition. The Group’s business model is centered on creating lifestyle-focused developments, in choice well-connected precincts, and developing quality apartment, office and retail units that allow for infinite experiences within finite spaces. Since its debut on the Singapore Exchange in October 2010, Oxley has launched a portfolio of 27 distinctive developments to strong market reception. Oxley is listed on the Main board of the Singapore Exchange and has a market capitalization of about $2 billion. Ballymore Group is an international property investment and development company, focused on large scale award winning developments across Europe. Ballymore’s developments have distinguished it as a leader in urban regeneration with an eye for design and innovation, with areas of business encompassing land and planning, architecture, design, sales, marketing and estate management. With permanent offices in London, Dublin and Eastern Europe, the Group continues to pioneer ever more ambitious mixed-use projects combining residential space, office, retail, hotels and leisure facilities. Ballymore distinguishes itself from many other developers with the breadth of its involvement, remaining fully committed to its buildings long after the last unit has been sold. Ballymore Group has become a leading presence in London’s development landscape, and has pioneered and executed many of the most high-profile riverside developments the city has seen in recent times. Get from Singapore Main-Board Listed Developer. Simply SMS or Whatsapp “MarinersQuarter” to +65-91259978 or simply click the button on the right and submit to get all the Instant Free copy of the E-Brochure and Floorplan! During the Phase 2A Launch of Royal Wharf, 1 Building are released which comprises of Portland House. Limited Units Left. During the Phase 2 Launch of Royal Wharf, 5 Building are released which comprises of Thameside House, Sienna House, Parkview Place, Compass House and Endeavour House. Limited Units Left. During the Phase 1 Launch of Royal Wharf, 7 Building are released which comprises of Latitude House, Barrier House, Maritime Building, Flagship House, Admiralty Building, Meridian Building and Anchor Building. All units released were fully sold. Trilive is a luxurious residential facility which is situated at 111 Tampines Road, District 19, Singapore. The plot of land used to hold the condominium named Yi Mei Garden. The previous development is a 14-storey residential block with 44 apartments and four penthouses completed in 1984. It was acquired by Roxy-Pacific Holdings through en block for S$136 million or S$856 psf ppr in 2013. Roxy-Pacific Holdings plans to build 222 residential units. Trilive is expected to TOP in 2018. Trilive embraces the concept of having a healthy lifestyle living. Nested in a residential enclave, the development is a beauty. With its luxurious facilities, there is no doubt that you will fall in love with the place. Despite living in Singapore, with all its busy and fast paced style of living, the comforts you get when living in will give you that sense of peace that only nature can provide. This is something that other residential condominiums may not be able to give you. SMS ‘Trilive’ & YOUR NAME TO Alvin Tay (+65)91259978 or simply click the button on the right. Near to Australian International School and Stamford American International. Trilive is also very accessible to shopping centers and entertainment establishments, making it very convenient for you if you ever need something outside. If you have a family, and children who go to school, the condominium is also close to educational institutions, with Xinghua Primary School and Holy Innocents’ Primary School within minutes walk. (Both primary schools are within 1km from Trilive) There are also several other schools and colleges nearby. the famous Orchard Shopping belt is 10 to 15 mins drive via the Central Expressway (CTE). Drivers can use Kallang Paya Lebar Expressway (KPE) as an alternative route to the city. Traveling to Changi International Airport only takes a mere 15 to 20 mins drive. And the best part? When you finally decide to go home and relax, you will ultimately enjoy the refreshing sensation brought about by the calm and serene surroundings of the condominium. The view outside is unquestionably stunning most especially when you look outside at night time. You have the best view of Singapore’s busy streets, as well as the other buildings whose lights are captivating your every sense. You’ll never go wrong with choosing Trilive as your place of abode. It is where convenience meets style. Listed on the SGX Mainboard in March 2008, the Group is principally engaged in the development and sale of residential and commercial properties (“Property Development”) and the ownership of Grand Mercure Roxy Hotel and other investment properties (“Hotel Ownership and Property Investment”). In Property Development, Roxy-Pacific is an established brand name for small and medium size residential developments with unique design features. The Group’s developments offer desirable living environments which epitomise quality and innovation and are targeted at middle to upper middle income buyers. Between 2004 and 2014, the Group developed and launched 38 small to medium size developments comprising a total of more than 3,000 residential and commercial units. The Group also owns the Grand Mercure Roxy Hotel, managed by the international hotel operator, Accor Group. Strategically located in the East Coast area, the hotel is close to the CBD, the Changi airport and the Marina Bay Resort Casino. In 2014, the hotel enjoyed a high average occupancy rate (“AOR”) of 91.2% and an average room rate (“ARR”) of S$184.5. Beyond Singapore, the Group has acquired a hotel in Kyoto, Japan and land parcels intended for development into hotels in Phuket, Thailand. For Property Investment, the Group owns 52 retail shops at The Roxy Square Shopping Centre in Singapore. In Sydney, Roxy-Pacific owns a 28-storey freehold commercial building at 59 Goulburn Street, which is strategically located in the CBD area. 1. The Ministry of Manpower (MOM) will be making changes to the registration of HDB residential addresses in MOM’s OFWAS, for foreign workers on Work Permits. 2. With effect from 1 March 2016, employers must first ensure that their foreign workers have been registered as subtenants in HDB’s subletting system, before the workers’ residential addresses can be updated in OFWAS. Real estate agents and their salespersons who are appointed by home owners in the leasing out of HDB premises to foreign workers or are securing HDB premises for foreign workers on behalf of employers are advised to remind their clients to ensure that foreign workers are correctly and promptly registered in the HDB’s subletting system. 3 MOM would also like to remind all estate agents and their salespersons of the existing regulations (refer to table below). MOM will not hesitate to take enforcement actions, against any employers who fail to register the worker in OFWAS. Rivertrees Residences is yet another great residential development brought to you by Frasers Centrepoint Homes, Fareast Orchard and Sekisui House. It will no doubt be another sold out development in time to come with among the best developers in their respective fields introducing this beautifully designed development and yet affordably priced above. Rivertrees Residences is located at Fernvale Close, this new route will be constructed to serve the future residents residing in the area and being strategically positioned with lush greenery, beautiful landscaping and full frontal panoramic river view of Sungei Punggol, residents will definitely enjoy this riverfront lifestyle living from SGD$5xxK only. Comprising 495 residential units including 8 uniquely-designed Cove Homes by the river, Rivertrees Residences will also be blessed with having full condominium facilities and a uniquely ‘River Villa’ within the development catering to both friends and relatives alike for their parties etc. In addition, you will be able to spend some quality time with your family members at the nearby Sengkang Riverside Park and Sengkang Floating Wetland over the weekend or head over to the kite flying area for a mini-picnic too! Apart from all the outdoor activities for the nature lovers/laid-back lifestyle and the development’s wide range of facilities provided for, Rivertrees Residences are only a short walk away from the up and coming Seletar Mall. With the likes of Shaw Theatres, NTUC Foodfare and Fairprice Finest as their anchor tenants, movie-goers or your weekly grocery shopping are easily taken care of with such conveniences and not forgetting Greenwich V and Compass Point are also in close proximity too! Rivertrees Residences at Fernvale Close will also provide an ideal home for families with young school-going children with the numerous popular schools such as Nan Chiau Primary School, Nan Chiau High School and Pei Hwa Secondary School. Location – Mins walk to New Seletar Mall which boast anchor tenants such as Shaw Cineplex, NTUC Finest and NTUC Foodfare. Good Rental Return – With Upcoming Seletar Aerospace and Seletar Regional Centre creating up to 10,000 jobs and generate highly skilled employment opportunities, there will be a good pool of tenants. A brand new Freehold commercial building, which will soon replace the Serangoon Plaza, will be out for sale really soon by Feature Development, which is a subsidiary of the Tong Eng Property Development Group. The address of this rare development is situated at 320 Serangoon Road of Singapore. This development, the Serangoon Plaza, where the famous retail giant Mustafa Centre has been located at, was en-bloc in November 2013 and this en-bloc deal is also one of the largest collective sale of a commercial property so far. Mustafa Centre is operating 24 hours a day and many locals as well as foreigners have made this place their favourite hang-out even late at night. Centrium Square is located in city fringe District 8 of Singapore and will be a mixed development which consist of retails shops, office units as well as medical suites. Centrium Square is located along Serangoon Road and enjoys easy connectivity as the Farrer Park MRT Station is only about 190 meters away from this brand new Freehold development. Furthermore, the Little India MRT Station is also about 720 meters away and this will generate huge human traffic everyday. The future Jalan Besar MRT Station will also be within short walking distance to this new building. For drivers, the major expressways such as the Pan Island Expressway [PIE], the Central Expressway [CTE] and not forgetting the Ayer Rajah Expressway [AYE] are also within a short drive and will lead one to anywhere he wishes to go. Big buildings and shopping malls such as the City Square Mall, the new Connexion, Bugis Junction and the Sim Lim Square mall are located within close proximity. Top 10 Reasons Why Centrium Square? 183 Longhaus is a mixed-use development by Tee Land Limited. Previously occupied by the famous Long House Food Centre at 183 Upper Thomson Road, a popular haunt for food lovers, the site will be redeveloped into a 4-storey mixed-use development, which can house 30 to 38 residential units, averaging 1,000 sq ft each and 5 to 10 commercial units measuring about 1,600 sq ft each at the ground level.. Occupying 16,960 sqft of freehold site, 183 Longhaus is strategically located near to 2 MRT Stations, 500m from the Marymount MRT Station, and about 350m from the upcoming Upper Thomson Station. 183 Longhaus is also conveniently located within proximity to Thomson Plaza and the stretch of dining, shopping and entertainment venue along Upper Thomson Road. Connectivity and access to other parts of Singapore is a breeze with close proximity to Central Expressway (CTE) and Pan Island Expressway (PIE). As the Thomson area becomes more accessible with the upcoming Thomson-East Coast Line, demand for 183 Longhaus is expected to be overwhelming. Top 8 Reasons Why 183 Longhaus? 183 Longhaus is situated in District 20, among the very obvious districts of Singapore. It’s encompassed with innumerable comforts which can be reached via major expressways like Pan Island Expressway (PIE) and Central Expressway (CTE). In addition, there are rather several coming stations that comprise Bright Hill MRT Upper Thomson MRT and Caldecott MRT. Thomson property costs has been increasing steadily since the statement of Thomson East Coast Line with strong sales seen at last few property establishes including Thomson Impressions, Adana @ Thomson, Thomson Three and Thomson Grand. Modern appointments are equipped to make an elegant inside that’ll let live up to your lifestyle. Whether for investment or own stay, live your own life to the fullest at 183 Longhaus. 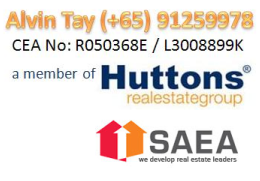 TEE Land Limited is a property developer listed on SGX-ST. Leveraging on its experience and expertise in property development in Singapore, TEE Land has also extended its geographical reach to Malaysia, New Zealand, Thailand and Australia. The Group’s property development projects are predominantly freehold in tenure and are targeted at middle-to-high income consumers who value exclusivity in good locations. The Group will continue to focus on residential development while expanding into commercial and industrial development projects both in Singapore and the region. TEE Land is part of the TEE International Limited Group which is also listed on SGX-ST.